After being nominated for eviction by Head of Household Jerry Mac Donald, Brian was evicted last night from the BIG BROTHER 10 House. Brian, the self-proclaimed “player,” got played and was ousted by a vote of 9 to 1. On Sunday, Jessie and Renny were nominated for eviction, but on Tuesday, Jessie won the Power of Veto and chose to remove himself from the block. Although an alliance had formed between the two, Head of Household Jerry chose to put Brian on the block after eight of his fellow Houseguests put pressure on him to do so. During last night’s live broadcast, Brian, the 27-year-old Telecommunications Account Manager from San Francisco, learned his fate and left the House. After leaving BIG BROTHER, Brian was interviewed by Julie Chen about his experience. After last night’s eviction, the Houseguests competed for Head of Household in a competition called “The In Crowd.” In it, they had to guess how their fellow Houseguests answered questions prior to moving into the BIG BROTHER house. Jessie had the most correct number of answers and was named this week’s HOH. Angie Swindell, Orlando, Fla. via Virginia Beach, Va.
April Dowling, Higley, Ariz. Via Arlington, Neb. 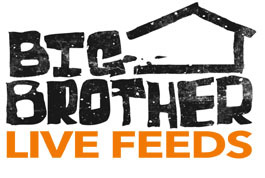 Jerry Mac Donald, Magnolia, Texas via Wilkes Barre, Pa.
Memphis Garrett, Los Angeles via Collierville, Tenn.
BIG BROTHER 10 is broadcast three nights weekly, on Sundays (8:00-9:00 PM, ET/PT), Tuesdays (9:00-10:00 PM, ET/PT) and the live eviction show, hosted by Julie Chen, Wednesdays (8:00-9:00 PM, live ET/delayed PT). BIG BROTHER follows a group of people living together in a house outfitted with dozens of cameras and microphones recording their every move 24 hours a day. Each week the Houseguests will vote someone out of the house. At the end, the last remaining Houseguests will receive the grand prize of $500,000.